Looking for a lightweight travel trailer or toy hauler and only have a towing capacity of 3500 lbs? You've found it! 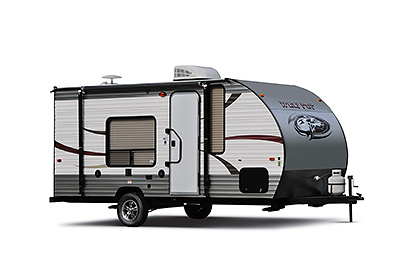 Extremely light weight travel trailers and toy haulers are available from Wolf Pup by Cherokee, presenting affordable quality light weight trailers with the most value in its class! Wolf Pup trailers are compact offering fully self-contained large holding tank capacities and a vast amount of storage space compared to others. These trailers are designed to maximize comfort through a variety of features and floorplans such as walk-around queen bed, usable kitchen countertops, spacious booth dinettes and plenty of natrual lighting from large windows. Whether camping with the whole family or just two of you, Wolf Pup has it covered.